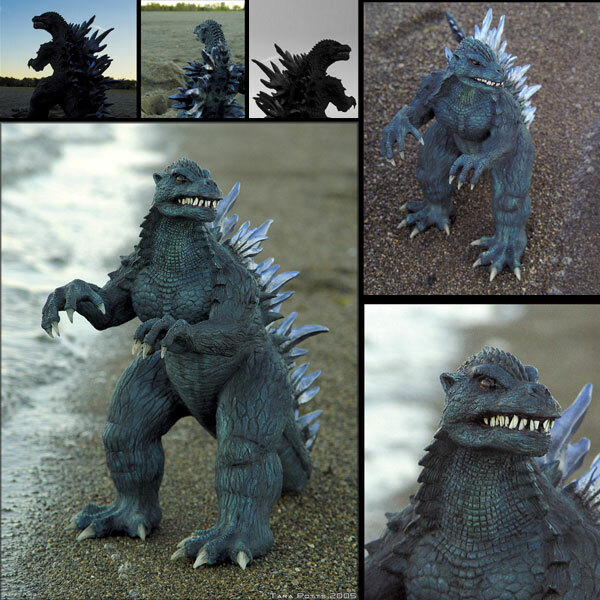 A large sculpt of Godzilla. This is about 12-13 inches tall. Entered in the model contest at G-Fest XII in July 2005, Chicago. It won a blue ribbon but I was unclear as to which category it placed in, as I wasn't present at the award ceremony.